Tibial tubercle avulsion fractures are exceptional, accounting for less than 1% of all physeal injuries. Watson-Jones classification modified by Ogden and colleagues’ is mostly used for such fractures. International Journal of Surgery Case reports, report a case occurring in an adolescent boy during school sport, reported in line with the SCARE criteria. A 16 years old male was injured during school basketball when he touched the ground after jumping. 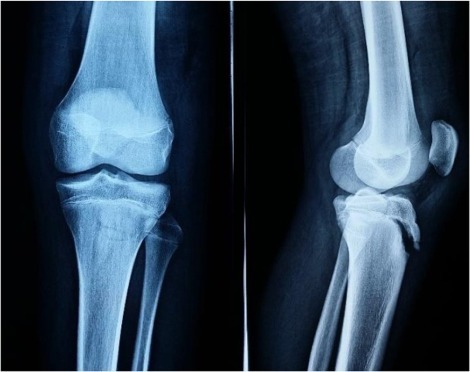 He directly feels severe pain in his left knee and fell in terrain, he was admitted at the emergency department, the clinical examination of his left knee detected a flessum, swelling and exquisite pain of anterior tibial tuberosity with the inability to ambulate. X-rays showed a displaced avulsion fracture of tibial tuberosity. 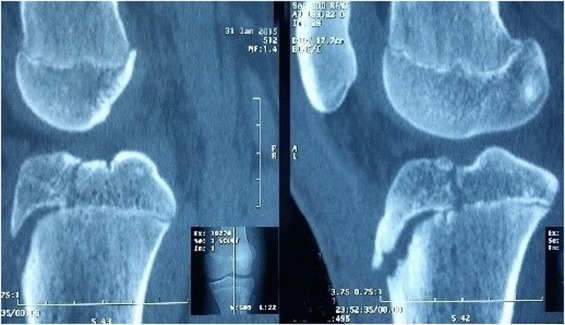 A computerized tomography scan with 3D imaging demonstrated tibial tubercle avulsion fracture and categorized it Ogden Type III. Operative intervention was achieved through open reduction and internal fixation via an anterior midline incision. By direct visualization, the tibial tubercle fragment was reduced manually and fixed using 2 cannulated screws with washers. 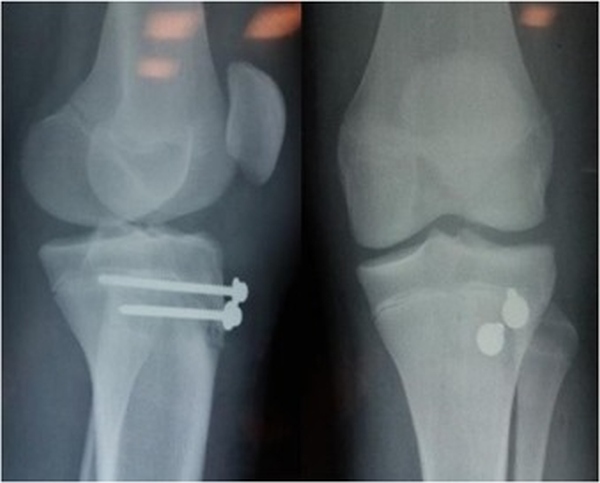 Attention was taken to prevent splitting of tuberosity using small screws 3.5 mm. Post-operative X-rays showed a good reduction. The operated limb was kept in full extension at cylinder cast for 4 weeks. At 4 additional weeks later, he began physiotherapy and prone active-knee flexion limited to 90º, with passive extension. At 8 weeks, complete knee motion was authorized. At 3 months follow-up appointment, we notice radiographic union, and no clinical pain or limp, without any skeletal anomaly. Successful back to all normal activities including school sports, with a full range of knee mobility was attained at 6 months. At one-year follow-up, the alignment of lower limbs was preserved.